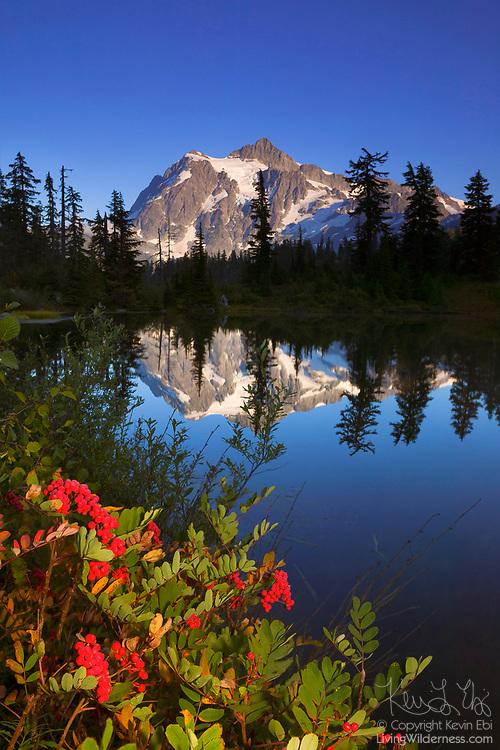 Mount Shuksan reflects on the still waters of Highwood Lake, which is lined by colorful American mountain ash (Sorbus americana). Mount Shuksan, one of the most photographed mountains, is located in Washington's North Cascades. Berries of the American mountain ash remain on the tree all winter, an important source of food for birds.